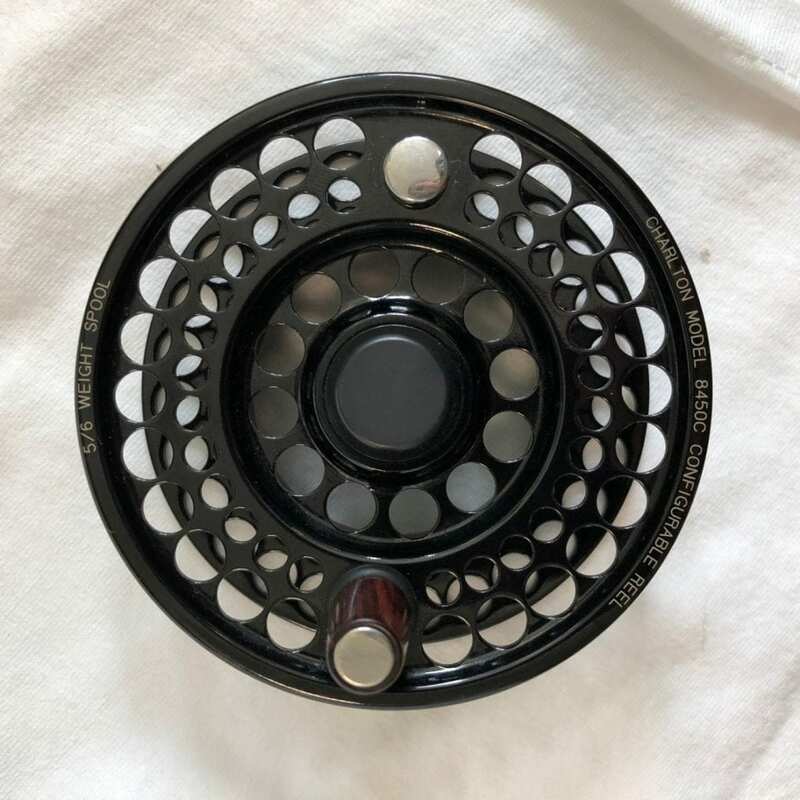 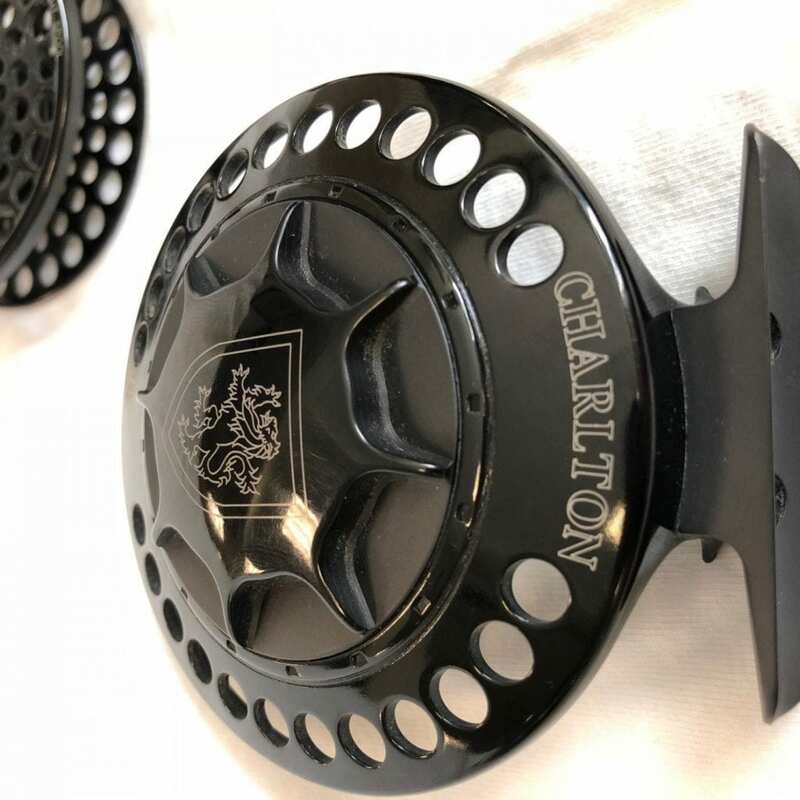 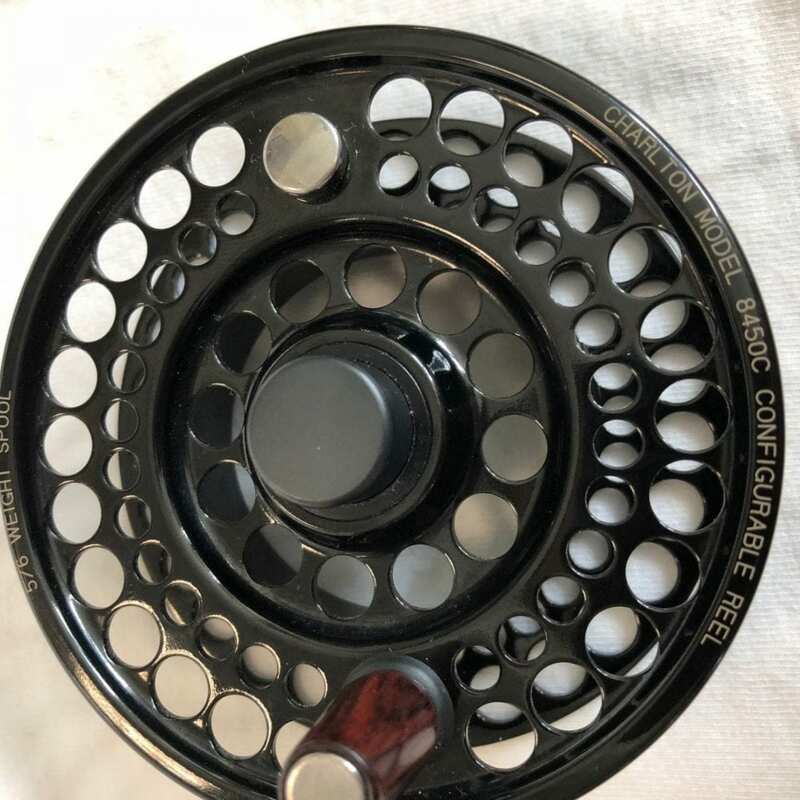 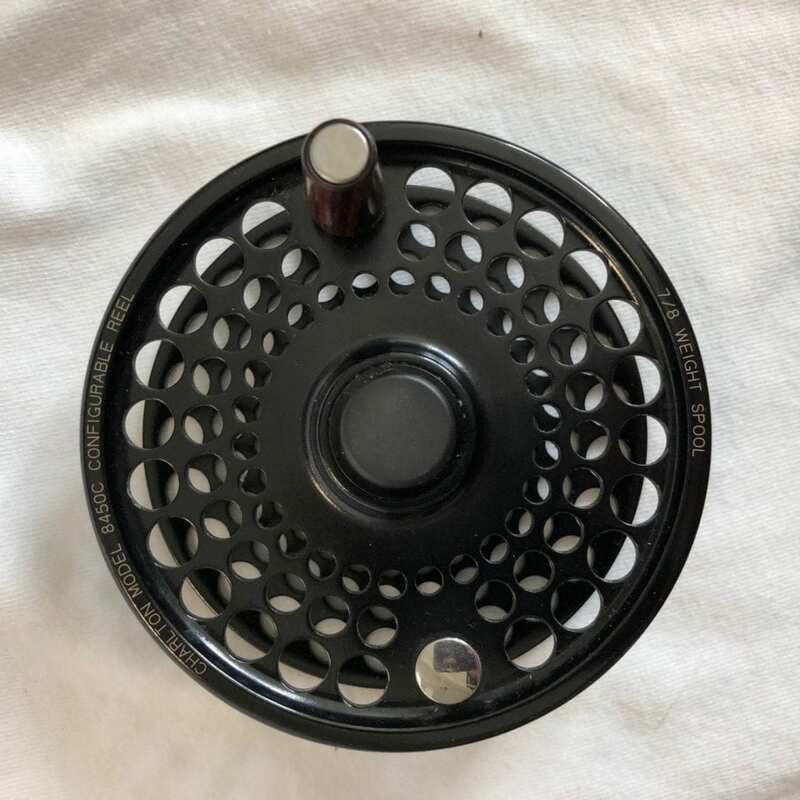 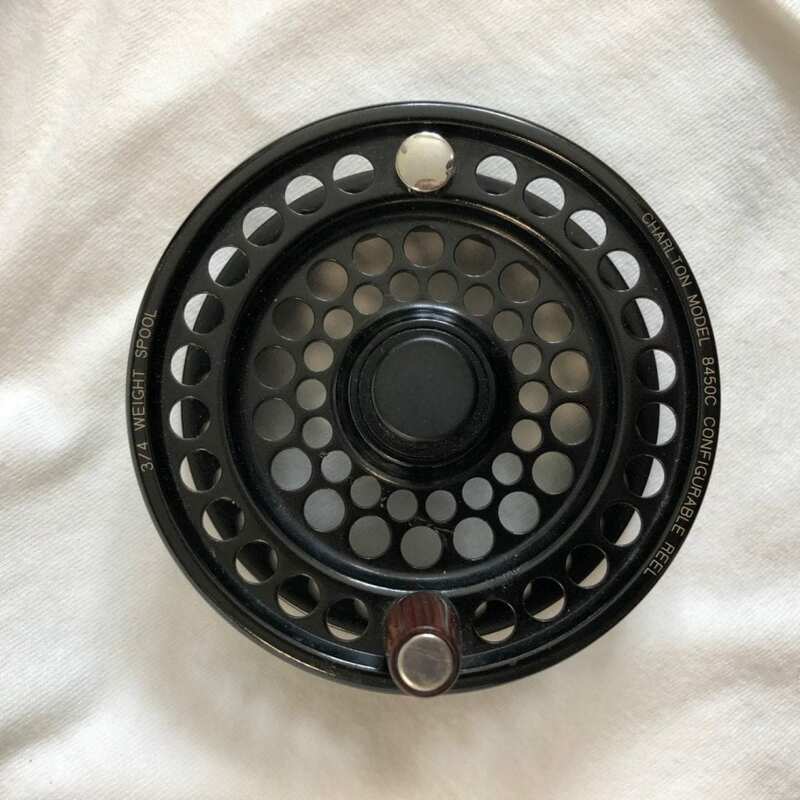 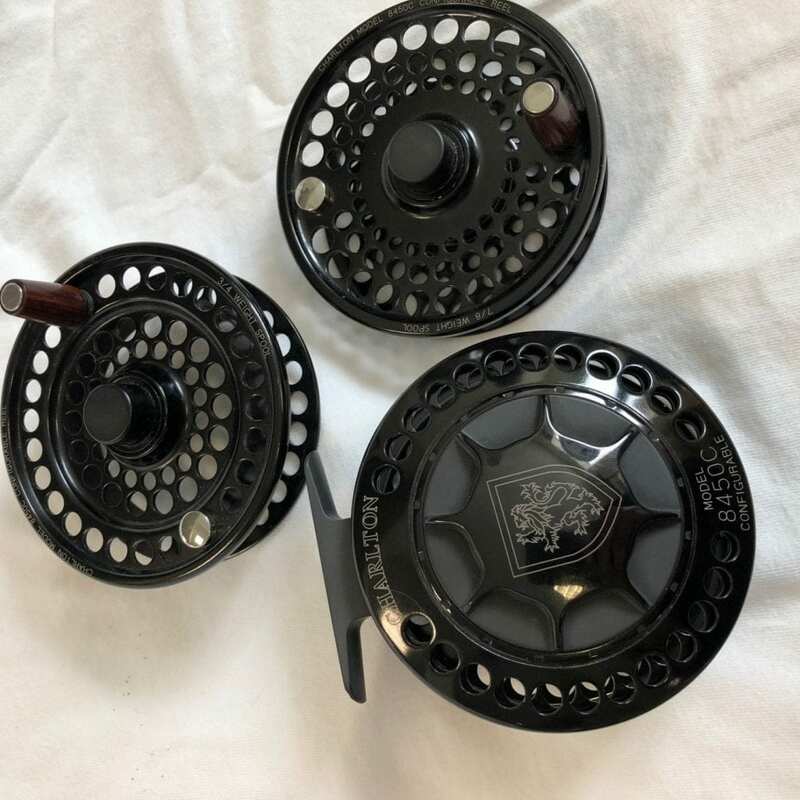 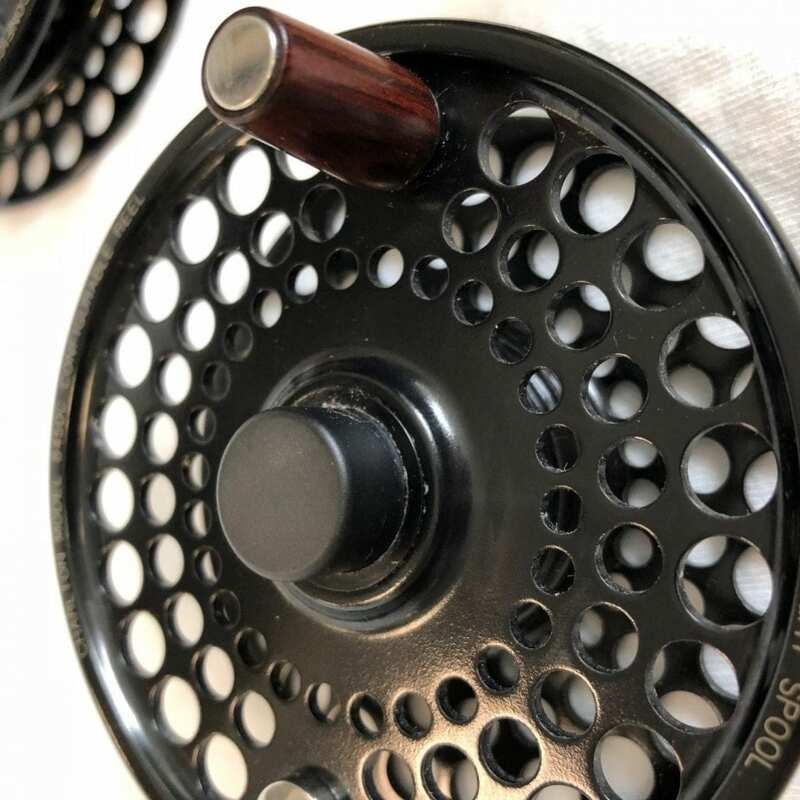 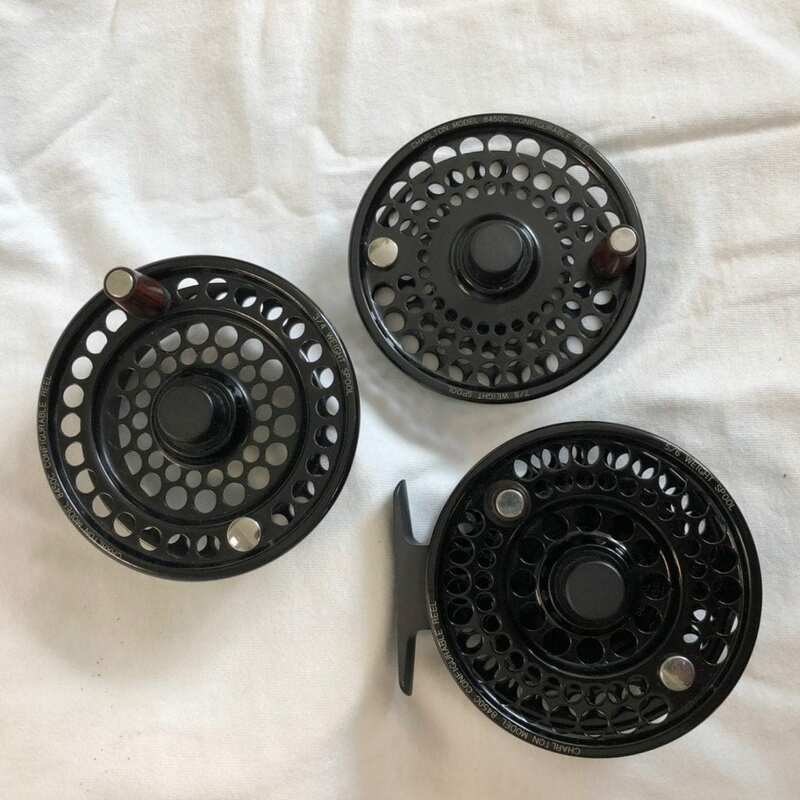 Description: This was probably the most popular of the Signature Series reels, and it comes with each of the three spool sizes available: the ultra large-arbor 3/4 spool, the popular mid-arbor 5/6, and the standard arbor 7/8. 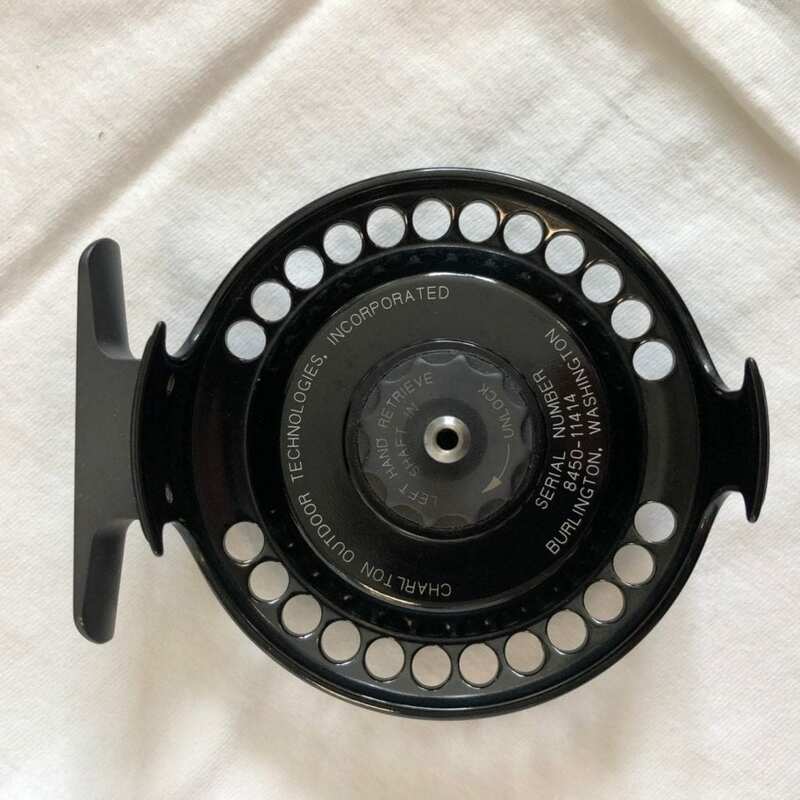 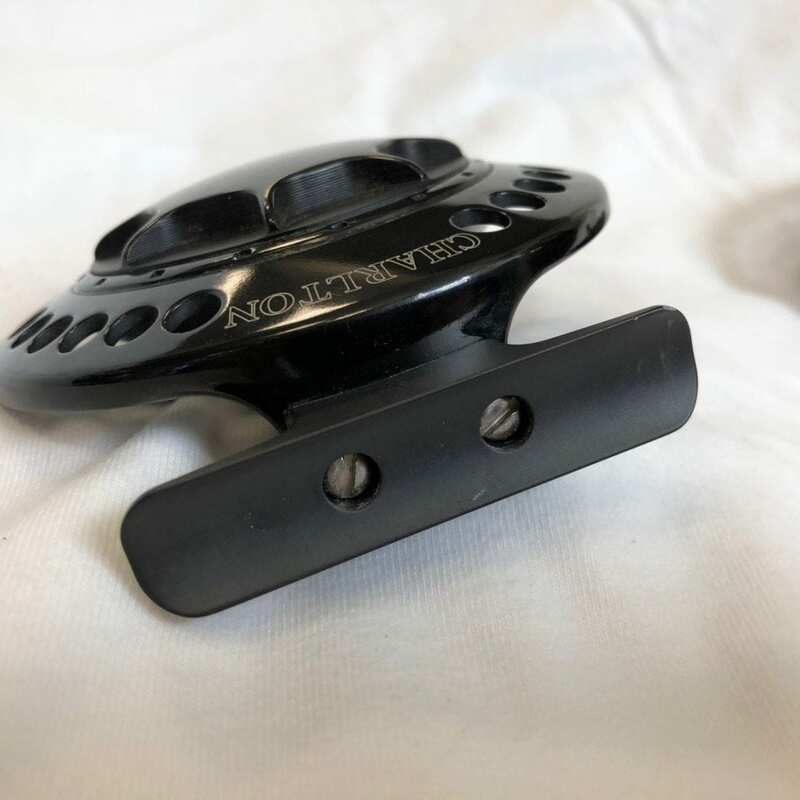 The 5/6 spool has a mark on the frame side of the porting; the other spools appear unused and probably were never lined. 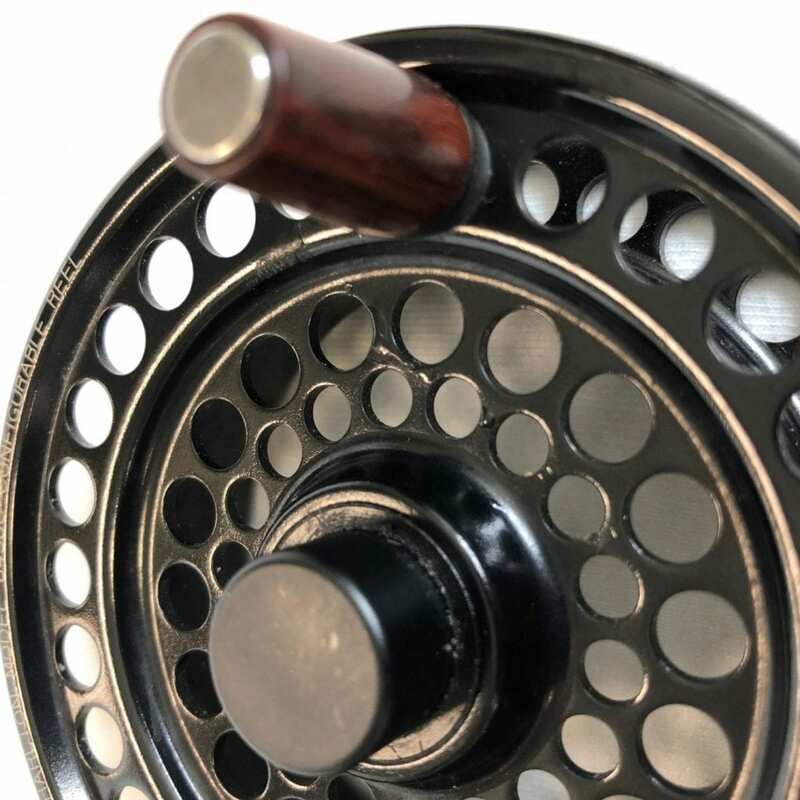 The reel foot shows some wear where it was mounted, but this is a great reel in fantastic condition.